There’s so much about today’s artworld that art critic Joan Altabe and I agree on (see her three Aristos Awards—search for “Joan Altabe”) that I’m more than a little astonished by the objections she raises to Who Says That’s Art? in a brief review published online on August 18, which I only recently learned of. After noting that it’s “gutsy” of me to attempt to “corral art’s baggy borders,” and that the book is both “well-researched” and “well-written,” Altabe proceeds to dispute what she sees as its many “debatable observations and conclusions.” The unfortunate truth is that those “debatable” points stem mainly from her own misreadings and mistaken inferences. Art about anything can be nothing, yes. But it can also be about everything. Putting art in a lock box marked “something” hems it in, makes it smaller and keeps it from resonating with the widest range of human experience. What I actually wrote, however, was not “If art can be about anything, then it is nothing” (emphasis added) but rather “If art can be anything, then it is nothing.” Altabe’s misquoted version pertains to the range of content or meaning in art works (about which I, in fact, take a very broad view). My statement instead has to do with the sort of entities that qualify as works of art. That is a vastly different point, and one with which Altabe ought to be more in sympathy, given her own view that “Conceptual art is a crock” (i.e., not art), for example—a viewpoint I share and offer solid reasons for. Altabe also finds my “high opinion” of eighteenth-century aesthetic philosophy and “low opinion” of modern art “too sweeping for words.” She thereby implies that I neither express any reservations regarding eighteenth-century ideas about art nor say anything good about “modern art.” In fact, I offer a critical reassessment of both. In a section entitled “Which Eighteenth-Century Ideas about ‘Fine Art’ Are Worth Keeping?,” for example, I indicate flaws as well as insights, and also point out ways in which that influential century’s ideas have been misrepresented by subsequent thinkers. As for “modern art,” I’m not sure how Altabe defines the term. 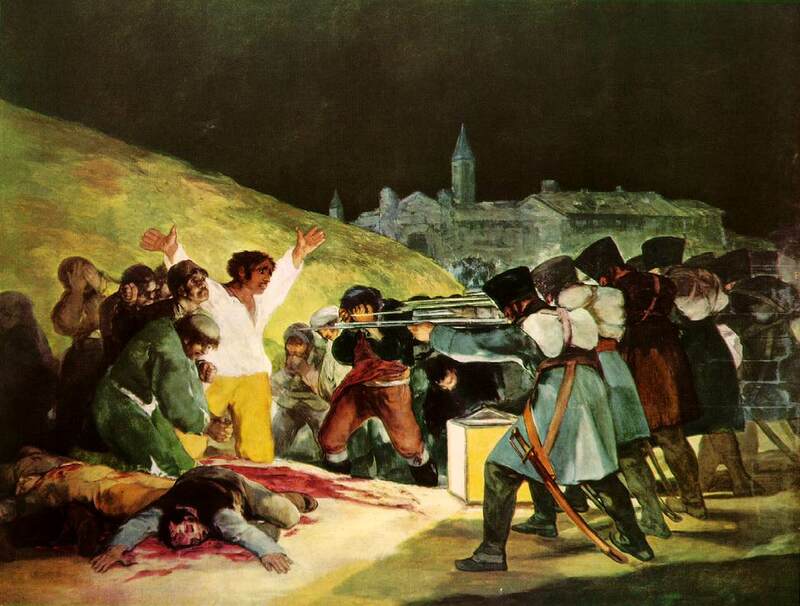 Mainstreams of Modern Art, by the estimable art historian and critic John Canaday, applies it as far back as Jacques Louis David (1748–1825) and Francisco Goya (1746–1828)—the latter of whom I do cite, favorably. But even if one takes the term in the more limited sense of late-nineteenth-century work that departed from academic strictures, my pantheon includes quite a few “modern artists”—from van Gogh and Gauguin to Seurat and Kamisaka Sekka. While [Kamhi] acknowledges that the root of fine art began in antiquity, she leaps straight to the 18th century, bounding over the very century that would have clued her into modern art—the Baroque era of the 17th century. Baroque painting showed struggling, earthy figures in turbulent settings. It revealed a world in flux and off balance, a world that was searching and questioning. Nothing I wrote suggests that I would reject work by genuine artists in any time who were “searching and questioning,” however. 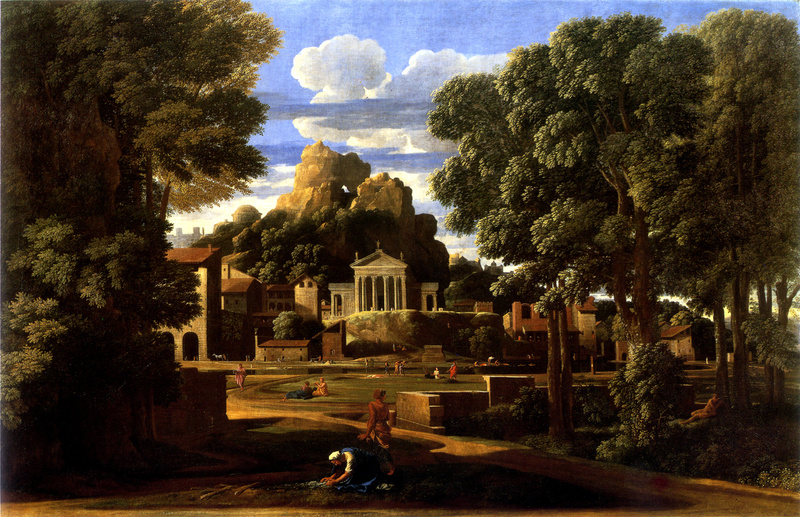 On the contrary, I express intense admiration for the French Baroque painter Nicolas Poussin’s deeply probing masterpiece Landscape with the Ashes of Phocion, for example—not to mention my respectful reference to such works as Goya’s Third of May (see image above) and Picasso’s Guernica. Yet Altabe concludes that I “skewer all modernism.” Her claim is not only mistaken. It is baffling. Who was it who said Nothing can be said which cannot be misunderstood? That’s why it is so exceedingly brave of you to bare your throat in public as you do. As I understand it, you were not doing a critique of all art history, simply those parts of periods which are illustrative of your point. Which is well taken. Bind up thy wounds, my lady, and carry on. Many thanks for those Kind words of encouragement, Diane! I agree with Diane, above. Excellently stated.